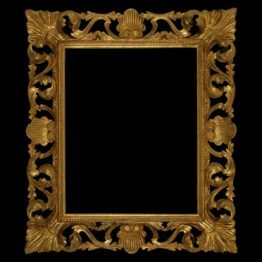 Reproduction of an Italian Baroque Picture Frame gilt on lime. This early 17th century model is available for any particular painting size so that you can frame with it any painting. | Calculate Price | We Ship it in 60 DAYS from order and the delivery is by DHL courrier. Shipping process lasts about 2 working days for Europe and 5 days for the rest of the world. 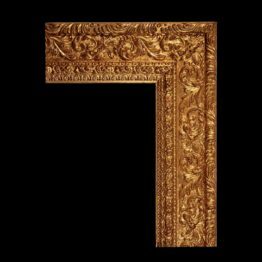 This Baroque Picture Frame reproduction is made of lime and tulipwood perfectly combined together. As a result we obtained the maximum strength with the minimum weigh. You can customize the ribbet size as you prefer. For instance, if you want to show a bigger part of the painting you can ask to reduce it.